This entry was posted on September 24, 2018, in First Presbyterian Nursery School and Pre- Kindergarten, Uncategorized and tagged First Pres, Pre Kindergarden, preschool. This entry was posted on March 8, 2018, in First Presbyterian Nursery School and Pre- Kindergarten. Where Learning and Love Come Together! Our educational program is designed to implement instructional practices that are recommended by the New York State guidelines for the Common Core and the National Association for the Education of Young Children. Learning inside our classroom begins with a broad concept. This concept starts as a building block and is further explored by working slowly towards a progression into more complex concepts. This is called Scaffolding. We as early-childhood educators are providing our youngsters with support until they are ready to grasp the next skill. Our goal is to provide developmentally appropriate practices so that our children will participate and learn through concrete, physical, meaningful experiences. This approach to learning focuses on the whole child; the physical, social/emotional, linguistic and cognitive development of our children. Here are some of the examples of learning that will be happening inside our program. Throughout the school year we will expose our children to many concepts. We will stimulate their thoughts and bring their attention to things that have significant meaning to them in their daily lives. For example, some of these topics will include, themselves, the structure of their families and people from our community. These concepts will be re-visited in new but familiar ways as they begin learning about animals and their habitats. This approach towards learning will begin to increase a child’s attention span. In other words, our children will be able to practice a skill, complete a task and then master new skills. Once again, our program is intended to have our children build upon pre-existing knowledge to learn and master new skills. More importantly, our youngsters will be encouraged to exercise their analytical skills. While using all their senses, they will be given opportunities to recognize similarities and differences. For example, while participating in lessons on cycles and change: life cycles, weather cycles, plant and animal, our children will learn to make inferences and draw their own conclusions. During our daily activities, language development will progress through shared language experiences. Classroom literature, discussions at circle time, and social experiences during play and center time are all opportunities to reinforce receptive and expressive language skills. Our children learn to listen and follow instructions as they begin to participate and learn to follow routines and practice good citizenship. It is of no surprise that our children become great listeners when they are anxious to participate in new and exciting activities. Our nurturing environment will encourage our youngsters to participate in activities as they begin to obtain knowledge about themselves and how that knowledge translates to others. For instance, it has been seen that once a child has mastered a new skill, they will repeat that same skill over and over, celebrating their new accomplishment. We as educators will rejoice in these accomplishments, promoting self- esteem in our children. Moreover, we recognize that when children become self-confident they become self-motivated. Thence, when children become autonomous, classroom instruction becomes more child directed as opposed to teacher directed. This kind of classroom environment will encourage our children to become critical thinkers. Therefore, our classroom discussion will be open to encourage their ideas so that they will know that their opinions are valued in our program. Furthermore, our classroom structure is designed to give our youngsters the ability to self-govern and regulate their own behavior. The daily structure of our classroom provides clear guidelines so that our children will be able to make good decisions and become responsible for their own choices. In addition, child developmental researchers have also concluded that children perform a head taller when they are amongst their peers. For this reason, all of our learning takes place in social settings. Our educational goal is to have our children participate in groups harmoniously, exercising good citizenship. When children learn to de-center themselves and respect the viewpoints of others, they learn how to participate democratically in a group. For instance, this kind of group cooperation can be observed inside our classroom during our clean-up routine. Children will often work together to problem solve as they begin to sort toys, find missing pieces, classify things according to size or manipulate objects so they may fit on a shelf. This is one example of how children learn the social skills of teamwork and cooperation through meaningful experiences. Hand-eye coordination through ball play is a pre-skill for handwriting. Playing a game of catch will assist our children in being able to make the connection from pencil to paper. Climbing activities that build core strength is essential to develop the large muscles needed for good posture so that our children will be able to sit for an extended length of time during classroom instruction. On the other hand, classroom activities such as painting, coloring, scrunching paper and manipulating playdough are emphasized in order to build fine motor skills that will assist our children when they begin to learn how to write. Exposure without pressure would sum up our approach. While we do spend a significant time on letters and numbers, names, (recognizing the letters in their names, the name itself, first and last, and writing their names), These skills can be reinforced independently one on one at home. We work on their addresses, phone numbers, your names, and counting. If you expect your child to “want to read” at this age, introduce them to the magic of books and stories. Our program participates in the Scholastic Book Club. Purchasing books that are read in class is another way to reinforce the home to school connection. Parents ask what they might do to follow through on our teaching. Utilize the car ride home as an opportunity to ask open ended questions about your child’s day. Our classroom teachers will be posting information about daily activities outside the classroom. Use this information as a springboard for conversation. Your enthusiasm towards their words will greatly influence and encourage their participation and success throughout the school year. Although F.P.N.S. has been nutrition conscious for many years, celebrating birthdays is another important milestone to celebrate in pre-school. This is also another opportunity to build upon the concept of sharing inside our classrooms. Birthdays will be celebrated during our scheduled snack time. If you would like to bring something in we suggest that you confer with your child’s classroom teacher. They are here to assist you. Our teachers are anxious to hear your ideas and will be able to provide you with suggestions. Birthday may be as elaborate or simple as you choose to make them. You may wish to include themed napkins, plates, etc. Please refrain from bringing in any goody bags. We suggest if you would like to contribute something to the class, donating a book to the classroom bookshelf. Sharing a book is a positive alternative to candy and small trinkets. Since parents are generally not invited to this celebration, we would be happy to snap a few photos if you want to include a disposable camera. Remember!! All snacks are to be peanut free and cannot be processed in a factory that may contain nuts. Do not bring in a snack without consulting the teacher first. Finally, Birthday invitations cannot be given out in the classroom unless the entire class is invited. Please understand that when we are working with children, we operate as a team. There are no silly questions. 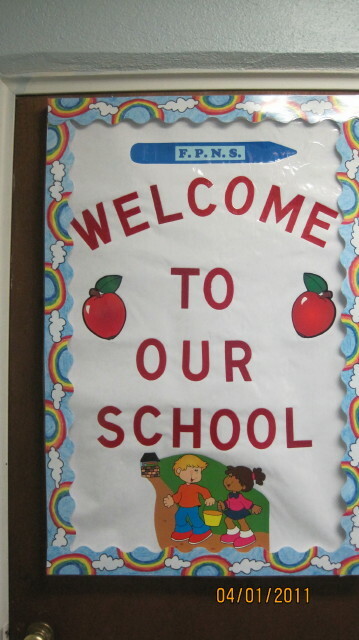 The school office is centrally located so that we are available to our families. Please feel free to drop in on us. In the meantime, here are a few things we would like you to know. If someone else will be picking your child up, please either bring a note with that person’s name, or, if it is an emergency, you must call the school. We will not release your child to someone we do not know if we do not have your permission. We will ask for a photo ID. Please do not bring your child to school if they are not feeling well. He/she will be brought to the office, and you will be called to pick him/her up. Please also notify the office if your child comes down with a communicable disease. We have to send home exposure notices with the other children. Health Forms are Mandatory. We must have a current physical and immunization history as we have to report to New York State. Please have your child wear play clothes. There is no such thing as a neat and tidy nursery school. Please have the children wear sneakers or rubber-soled shoes. We go in the playground or the gym every day. Label all outer clothes. We discourage the children from bringing toys to school. Every class does a “show and tell” segment, and every child gets the chance to bring in their favorite (non-violent) toy to show their friends. Small things are too easy to lose. If it is really something special, talk to the teacher and special arrangements can be made. Conferences are held once a year on a school day. Your children will not have school that day. You will have a scheduled appointment with the teacher to review your child’s report card. Sign-up sheets are posted outside of the classrooms. We use Channel 12 News, Verizon 1 News, WHLI (1100 AM), WGBB (1240AM), KJOY (98.3 FM), B103.1 (FM), WMJC (94.3FM) and LOVE (96.1FM) for school closings. 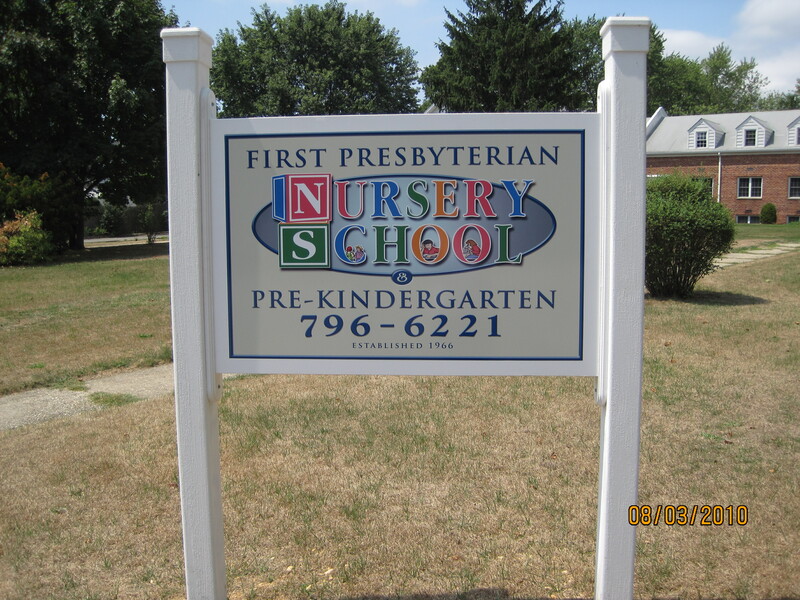 You may also refer to our facebook page, First Presbyterian Nursery School. If Levittown School District closes, we will close. If they choose to have a delayed opening, we will still have our morning session at 9:30. This entry was posted on October 7, 2013, in First Presbyterian Nursery School and Pre- Kindergarten. Our primary purpose, as a non-profit, non-sectarian Nursery School, is to give a child his/her first introduction to a group of experience in a warm and wholesome setting. The learning experience has many facets, and we help the child develop physically, socially, emotionally as well as intellectually. We specialize in socialization and pre-kindergarten readiness, including pre-math, science, writing, language arts, speech and listening skills, and creative arts. We have special events and celebrations throughout the year corresponding with seasonal holidays. The children explore either our large outdoor play yard on-site or full indoor gym every day, where we have various activities for excercise and play. Our professional staff is fully trained in CPR, AED and HWT. The children have a snack each day, where we offer only peanut-free foods. Celebrating our 47th Year of Dedication to the Community! This entry was posted on October 7, 2013, in First Presbyterian Nursery School and Pre- Kindergarten, Uncategorized. This entry was posted on October 6, 2013, in First Presbyterian Nursery School and Pre- Kindergarten.